Just like in any other busy downtown, downtown Chicago has its own street performers that can be found up and down Michigan Avenue, you’ll see one in every few steps. The performers provide a variety of form of entertainment, some play brass instrument, saxophone, some paints, some sing gospel songs or dance like the guy in Dirty Vegas Video. 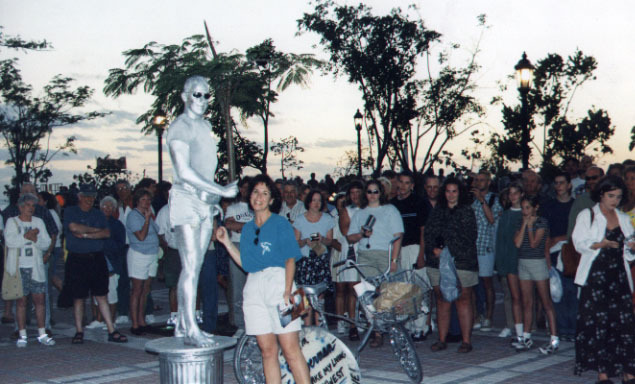 There’s also the street magician and the silver statue man. Pokonya banyak lah, basically they are there of course for the money, judging from the piles of dollar bills in their buckets, I guess they make pretty good money. But some of them are also art students who go there solely for practice or for school assignments. I walked pass them again after a few hours of tearing up the downtown, and then I saw one of the kids was crying..sambil cerita ke polisi. Turned out that somebody stole their money box… Man, that is the nastiest thing you could do, if you wanna be a thief, steal it from people who are loaded with money, not from innocent kids who are just trying to earn money from their own sweat..
Waktu gue ke Chicago lagi 2 weekends ago dan baru aja hit downtown and there they were again, ternyata mereka masih ada dan malah member nya nambah jadi 6 orang. Still in the same spot, in front of Ann Taylor shop in North Michigan Avenue. Tapi nggak tau kenapa pas mereka lagi main tau tau mereka langsung kabur, ngibrit sekenceng kencengnya……I looked around..thinking kenapa niih, kok langsung kabur aja, ternyata ada mobil polisi yang baru parkir di pinggir jalan and I was like..sooo? It’s legal to be street performers kan..? But then I found out that street performers have to ask for license from the city council, dan mungkin karena mereka masih kecil kecil banget jadi nggak di kasih ijin kali ya. Karena mereka kabur, ya udah gue juga cabut and went to Marshalls which just located behind the Ann Taylor shop (haha..jauh jauh ke Chicago mampirnya ke marshall juga). Trus ternyata those lil kids ada disana in the shoe department, lagi nyoba nyobain sepatu sambil ngitung uangnya. Ealah, ternyata uangnya langsung di belanjain..kirain buat bantuin bokap nyokapnya or something, but that’s alright though, at least mereka usaha untuk cari uang sendiri. 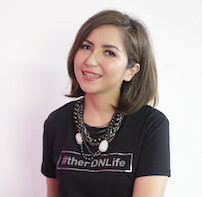 I wanted to talk to them actually, pingin nanya nanya tentang mereka, tapi gue nya malu malu siih… Trus ya udah, pas gue mau balik dan lewat situ lagi…..mereka udah main lagi disitu, tapi salah satu dari mereka nggak main dan cuma berdiri aja ngeliatin sekeliling, just in case ada polisi yang lewat lagi. Anyway, setelah itu, sometimes they just appear in my mind, and I was watching the Chicago Bulls and the New Jersey Nets game last Saturday night. Pas half time kan selalu ada atraksi atraksi kayak modern dance or something, and you know what, I saw those kids in the middle of the floors, doing their usual things, working their sticks and buckets, only this time, it takes place in the United Center, they are invited to watch the NBA live and perform in front of over twenty thousands audiences. Wow..I was speechless, surprised and impressed...and of course..I'm happy for them...=) I guess they are going somewhere heh? ?…keep doing your thang lil boyz!